"Recently became a homeowner and did a basic remodel that involved opening a couple walls. Took the opportunity to scrap out all the old coax and telephone lines from the 90s and run ~500 feet of new CAT 6 and RG6 myself. Now everything terminates into my utility room in the basement, runs out to the garage and up to the attic where it is distributed to all the rooms. Access point is ceiling mounted in the middle of the house. Works great! 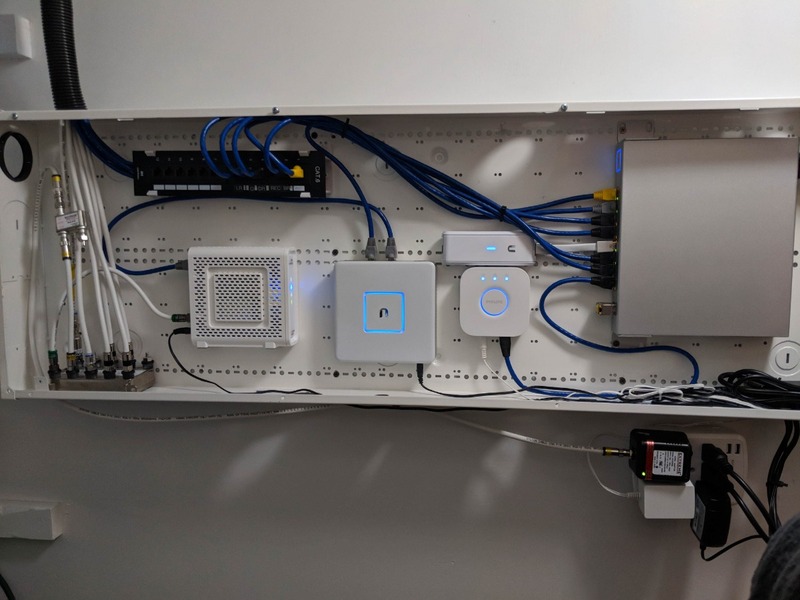 Blown away how professional the ubiquiti stuff runs. Well worth the price tag IMO." How does your setup look like. Show us using a SHOW thread.